For the subcontinent, see Persia (subcontinent). For the region, see Persia (region). Persia is a formable in 1444 and an existing nation in 1501 located in western Asia. 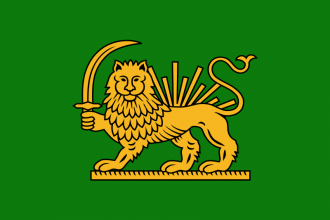 Historically, the state of Persia was formed in the early 16th century by the Safavid dynasty and their Qizilbash (half tribe; half "military quasi-order") supporters. After the initial military success Persia went on the defensive. During the reign of Abbas the Great the process of modernization of the state began, though this stopped after the fall of the subsequent Afsharid dynasty. Subsequent governments of Persia lost possessions in the east, west and north. Provinces in red must be owned and cored to form Persia. One green and one orange province must be owned and cored. 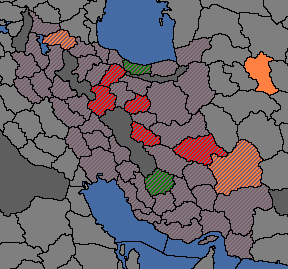 Shaded provinces are permanently claimed after formation. Persian historical events focus on the various Ottoman-Safavid wars as well as the political reforms & turmoil faced by the empire in its later stages. Have a good strategy for Persia? This page was last edited on 8 January 2019, at 20:20.